HOLIDAY MARINA RESORT Holiday Marina Resort is open 10 months, closing in January and February. We are based in Port-Grimaud, near St. Tropez in the south of France! The site owner has dual nationality, French and English, and since taking over the site in 1997 he has made vast improvements every year from upgrading its electricity supply to installing hand laid paved roads. 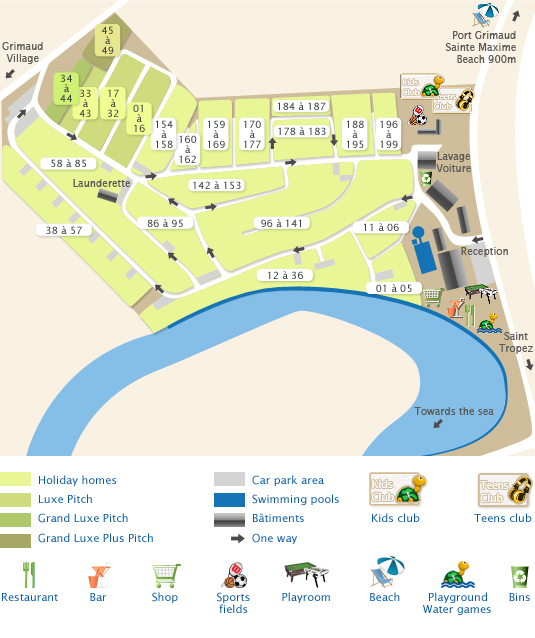 The site has moved up in quality to become one of the best holiday parks in the area. 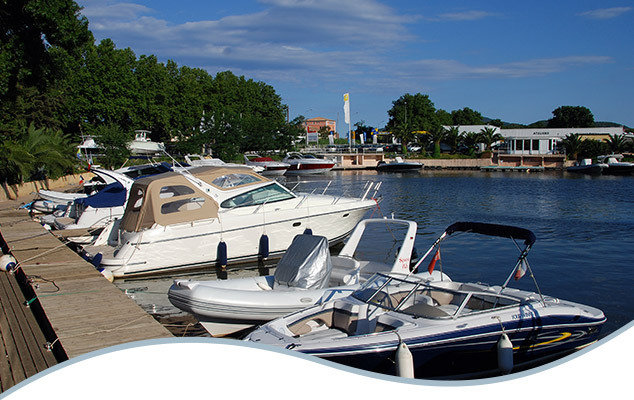 Holiday Marina is situated on the River Giscle (which has direct access to the bay of St Tropez) and in the heart of the vineyards of Grimaud. It is ideally situated half way between Ste Maxime and St Tropez and only 900m from the riverside village of Port-Grimaud and its beaches. This exceptional location on the Riverside offers moorings for motor boats up to 10m long; a short leisurely trip down the river takes you out into the bay of St Tropez where you can visit various locations by sea, avoiding the high season traffic. You can also relax on the poolside deck of our bar & restaurant or take a break at our Salon & Spa with its beautiful facilities. 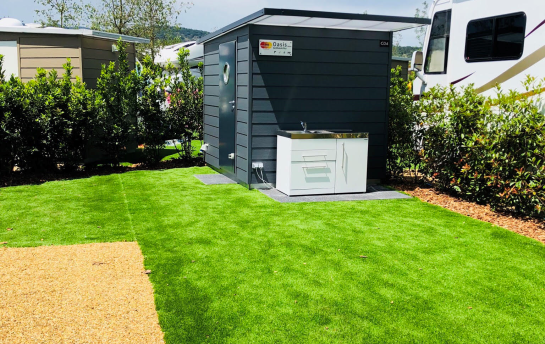 We have 4 categories of Mobile Homes for rent, and all our camping emplacements have their own private bathroom, making queueing at a communal block a thing of the past. 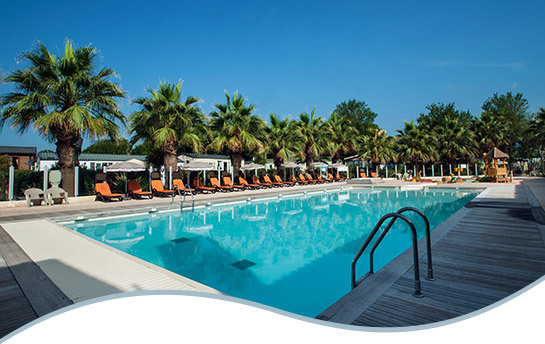 Enjoy your holidays on the sunny French Riviera, 900m from the coast and its beaches; our family campsite is based in the heart of the Gulf of Saint-Tropez with a heated swimming pool, children’s pool and jacuzzi, a bar restaurant with its terrace overlooking both the pool and the river Giscle. Enjoy the Côte d’Azur for your sun-filled holiday; a seaside destination with all the colours of Provence. The camp-site welcomes you to the Var region, right in the heart of the bay of Saint-Tropez, 900m from the beaches of Port Grimaud. Come and discover the all new Marina salon and SPA ! An absolute must-do, for an unforgettable relaxation experience! The poolside Marina Lounge Bar & Restaurant has recently been completely refurbished, and is now open for 10 months of the year (March to December). Enjoy the outdoor decking area with musical entertainment late into the summer evenings, live music during the off season, and themed evenings in the mid to high season. The feature fireplace highlights the comfort of the dining room, and creates a warm atmosphere throughout the year. Choice of set menus (updated every week), children’s menu and à la carte. The open plan bar leads directly onto the outside decking where parents can relax while watching their children take full advantage of the play area. 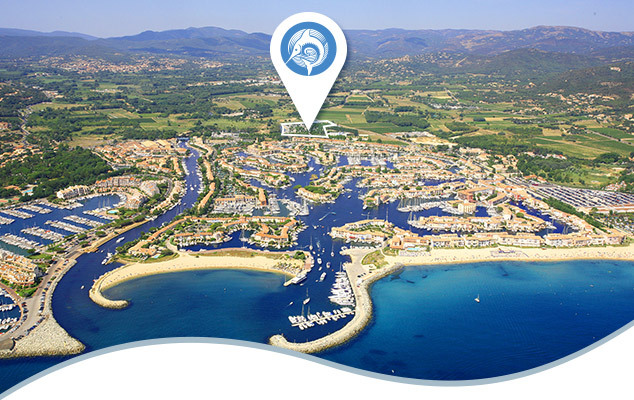 Ideally situated on the Côte d’Azur and only 900m from the beautiful beach at Port-Grimaud, Holiday Marina Resort is, thanks to this exceptional location, a great destination for all the family. 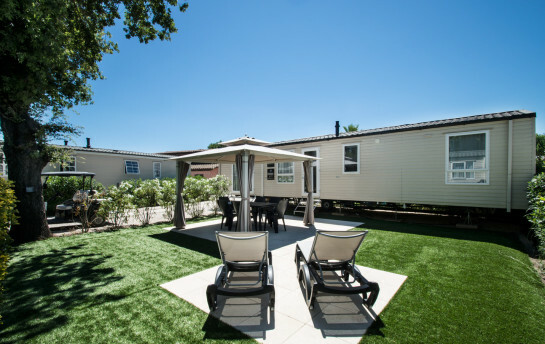 Whether you choose a camping pitch with private bathroom or a luxury mobile-home, you will be able to enjoy our high quality facilities. 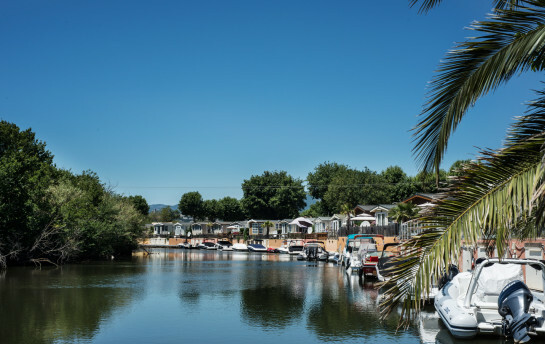 Our unique position on the riverside means we can even offer a mooring for your boat, with direct access to the mediterranean. We offer many activities on site: two heated swimming pools (one specifically for babies and small children); a multisports field; children’s play area and games room; poolside bar & restaurant with evening entertainment in high season; and a fabulous Spa complex. You can also take advantage of our unique mooring facilities which allow direct access into the bay of St Tropez. Discover the magic of the bay of Saint Tropez with its beautiful sandy beaches, medieval villages, provencal markets and stunning scenery. Stroll to the unique canalside village of Port Grimaud (nicknamed little Venice) for anything from an al fresco breakfast to a late night ice cream; or catch a ferry to St Tropez for some celebrity spotting! Enjoy the Côte d’Azur and the Var for a sun filled Holiday; a seaside destination full of Provencal colours. Our family camp-site gives you access to the bay of Saint-Tropez, 900m from the beach & village of Port Grimaud. We can offer numerous daytime or evening activities: a lovely heated pool, complete with jacuzzi; kids (& teens) club; multi-sports field; games room; stunning bar restaurant with a poolside deck overlooking the river & play area. Don’t miss the tourist office web site for information on the wide range of cultural events in the area. Pre-owned or new, this page gives access to all our mobile-homes for sale. 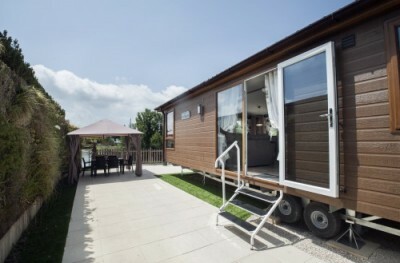 These leisure homes can be placed either at Holiday Marina or on another camp-site of your choice. It is possible to buy a model from us and have it sited elsewhere. Feel free to consult our complete list of available units. Enjoy your holidays on the sunny French Riviera, 900 m from the Côte d’Azur and its beaches, our family campsite is based in the heart of the bay of Saint-Tropez with a heated swimming pool, children’s pool and jacuzzi, a bar restaurant with its poolside deck overlooking the river Giscle. Holiday Marina has many facilities and activities including Kids Club, games room, play area, and fabulous spa complex! Plane, train or bus, many possibilities!